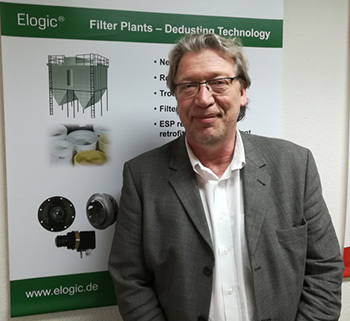 All the best for 2019 from Elogic! All the best for 2018 from Elogic! All the best for 2017 from Elogic! All the best for 2016 from Elogic! All the best for 2015 from Elogic! 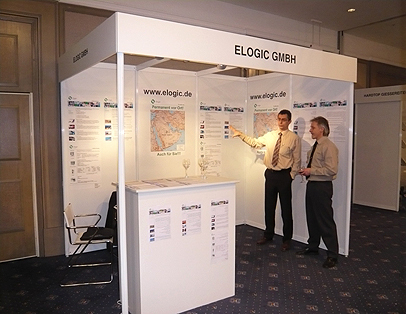 The Elogic® - Rally - Team successfully started the 2014 season attending the highly acclaimed 11th ADAC / VBA Classic Rally. 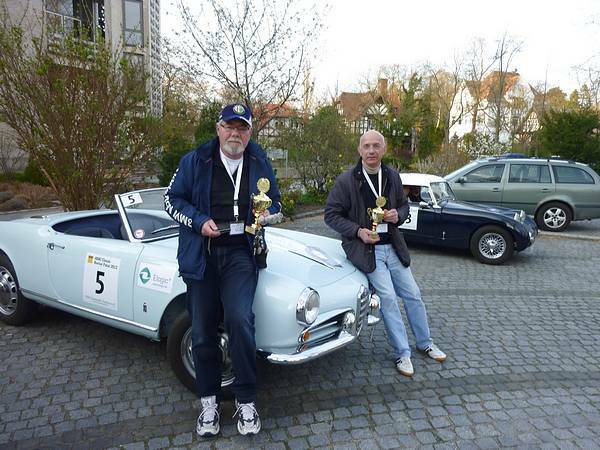 On April 26, 2014 60 classic cars started. The route went from Berlin eastward to Cedynia in Poland. After a short refill break for drivers and cars one headed back towards Berlin. After 220 km and seven challenging stages 59 teams saw the checkered flag. 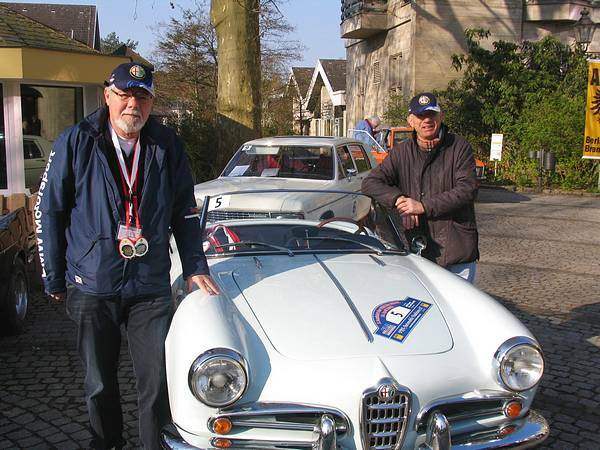 Our Elogic® - Rally - Team Roland Wiemann / Peter Katsarski is driving it's Alfa Romeo Giulietta Spider in the "Class Post War 1945-1960" and could achive first place. 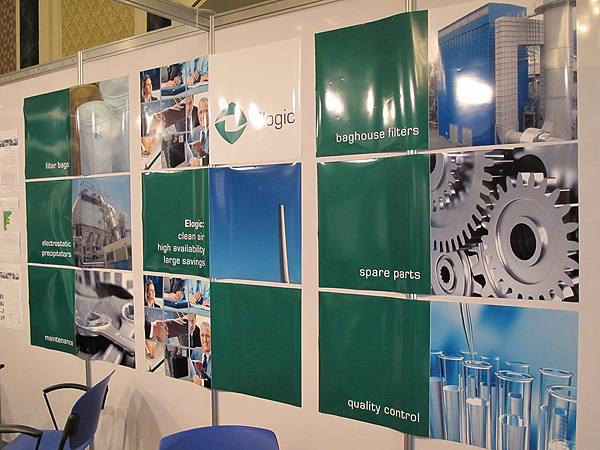 All the best for 2014 from Elogic! 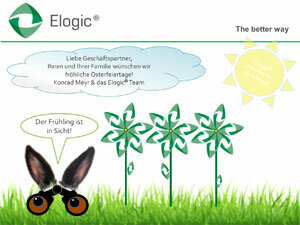 All the best for 2013 from Elogic! 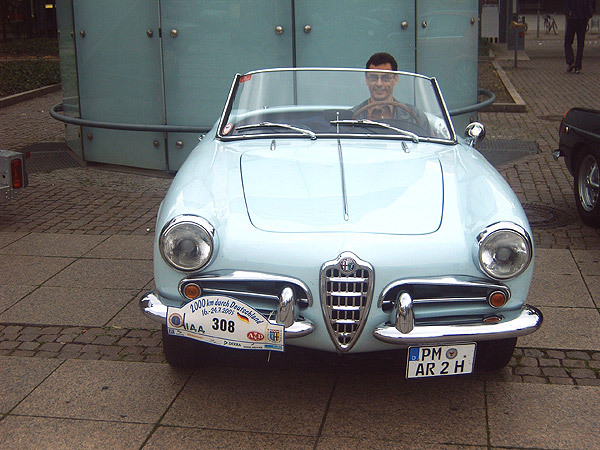 So, in July 2005, we find ourselves behind the wheel of a 1956 Alfa Romeo Giulietta Spider and start our engine in the pouring rain on the occasion of Konrad Meyr's motorsports debut. Thursday, May 8, 2012. 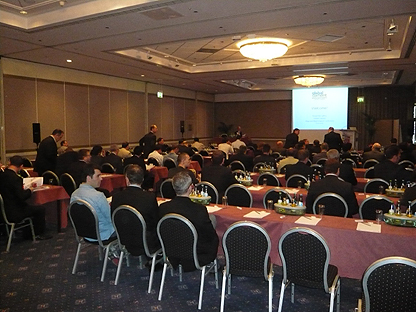 This time, it's a meeting at one of our affiliated companies. After our work is done, I ask once again, “Hey, Konrad, how would you like to take part in another classic car rally with me on April 14?” A glance at the calendar, followed by a clear-cut, “No” - other commitments. 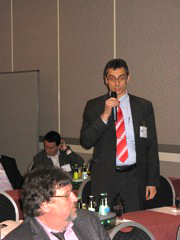 After the meeting, I pick up my cell phone and dial a number in the Black Forest. It belongs to Günter Scheffel, an experienced manager in the cosmetics industry who also happens to be an experienced rally driver. We both raced for championship points in the 1970s, but as rivals. We quickly agreed that we would drive this rally together. 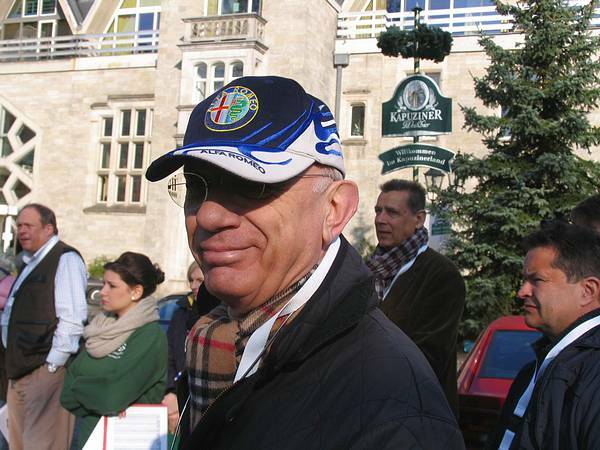 At 9:05 a.m. on Saturday, April 14, 2012, we start up the handsome Alfa Romeo Giulietta Spider at the 7th “VBA-Automobile Tradition e.V. im ADAC” tour. 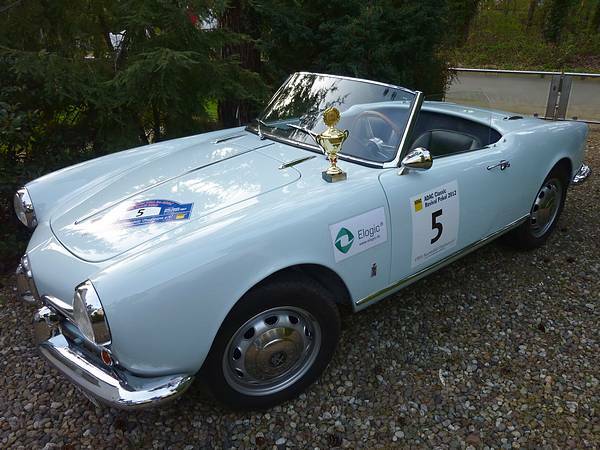 The rally is organized by the Berlin association of racing drivers of traditional automobiles, which is a member of the German Automobile Association, and is part of the ADAC “Revival Pokal Automobile 2012”, the Automobile Revival Cup 2012, race series. It takes place on the grounds of the banker Franz von Mandelssohn's former villa at the Herthasee in Berlin. The sky is a bright blue, but it's quite cold. We are bundled up, driving with the top down, of course! 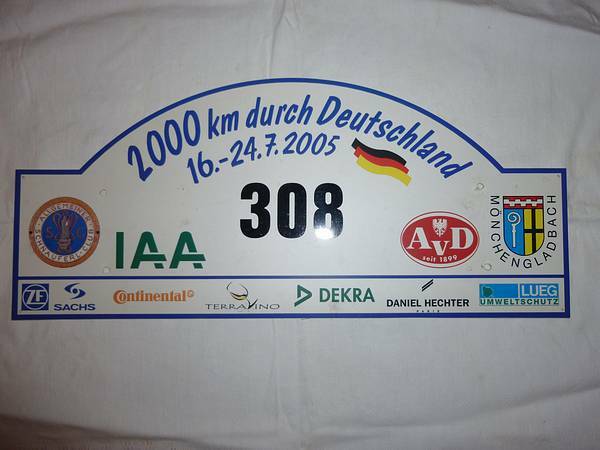 The race consists of 160 kilometers through the beautiful Brandenburg countryside. 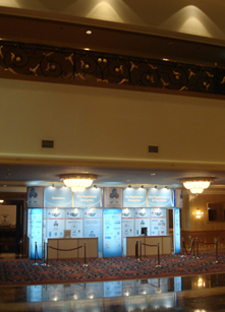 The decision as to rankings is based on 7 special stages. In these, the important thing is not maximum speed, but precision - maintaining times and average speeds to the exact second. In celebration of the 90th anniversary of the AVUS racetrack, the last special stage is held inside the former legendary north curve, a banked curve, of the AVUS. 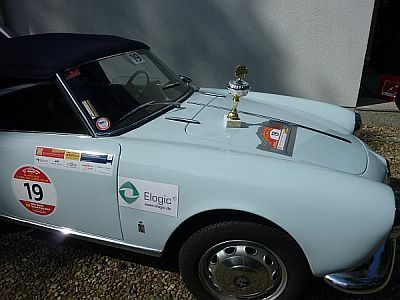 Late in the afternoon, the successful “Elogic Rally Team”, Roland Wiemann and Günter Scheffel, has the honor of receiving the cup for achieving 2nd place in their category. We spend the evening savoring the first Beelitzer asparagus of the season and making plans. Plans for our next event. 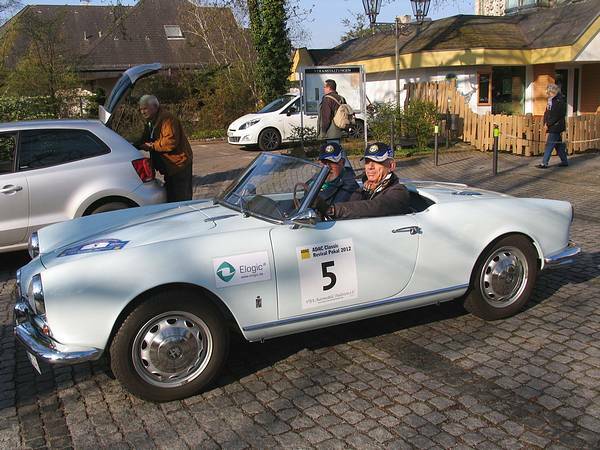 It will be the “ADAC Rallye AVUS Classic”, the ADAC AVUS Classic Rally, from July 26 - 28, 2012. 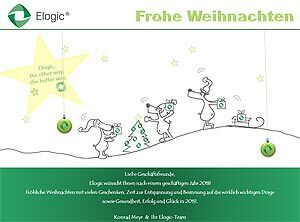 All the best for 2012 from Elogic! 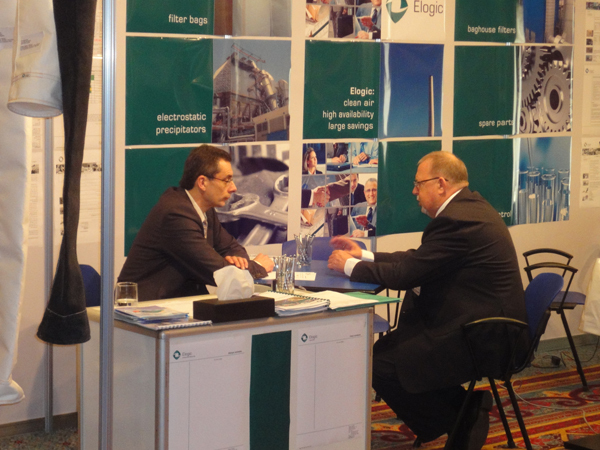 As Elogic representative in Saudi Arabia, Joerg Rothstein constantly strives to acquire new customers. 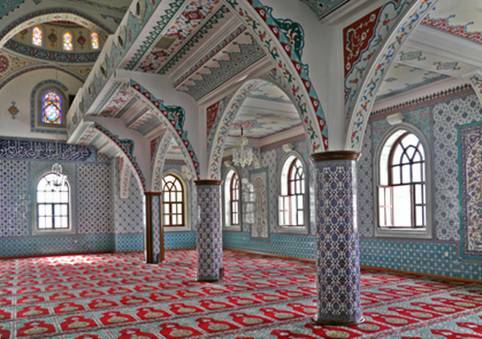 Due to the size of the country, you need keen senses to find the sometimes unfamiliar places. On a tour from Riyadh to Jeddah, Joerg Rothstein caught a glimpse of a silhouette on the hazy horizon – a silhouette that looked a lot like the preheater of a cement plant. Had he just found one of these unfamiliar sites again? 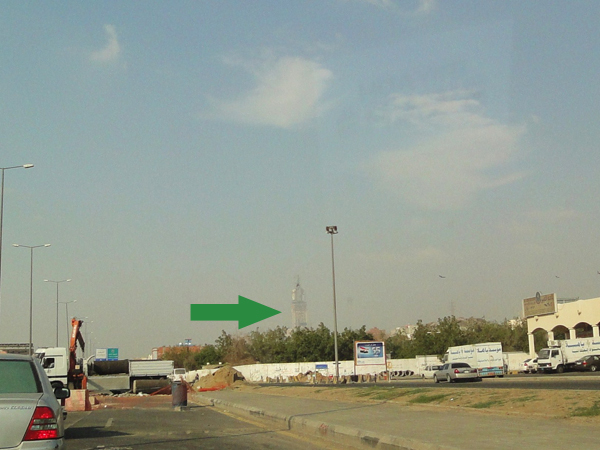 Focusing on the object, the Elogic Arabia expert drove into the direction of the tower. When he had finally got into close proximity to the object, he was surprised. He had, until that moment, never seen a market on the grounds of a cement mill. Fortunately, the police were also there to assist him. However, they seemed surprised and asked directly if he was a Muslim, as he did not look like one. The whole matter was cleared up quickly. 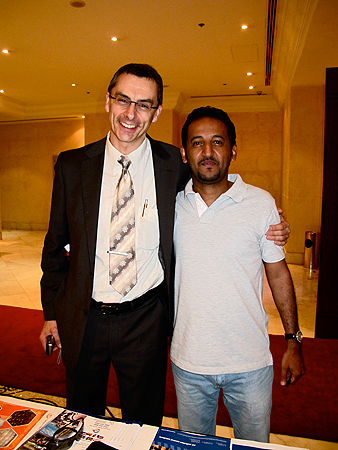 Joerg Rothstein was standing in the middle of Mecca market place, in the holy city which non-Muslims are not permitted to enter. 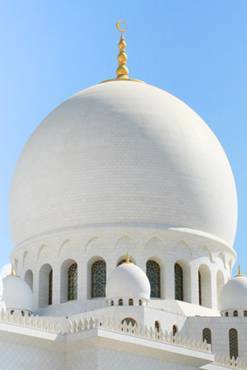 The preheater was the giant new clock tower of Mecca which, at 640m tall, is the second-tallest building in the world. The police were even more surprised than our representative as it is practically impossible to enter the city unnoticed thanks to several checkpoints. Once again true to their reputation of being friendly and helpful, they accompanied Joerg Rothstein outside the city limits, where he continued his tour with another adventure under his belt. 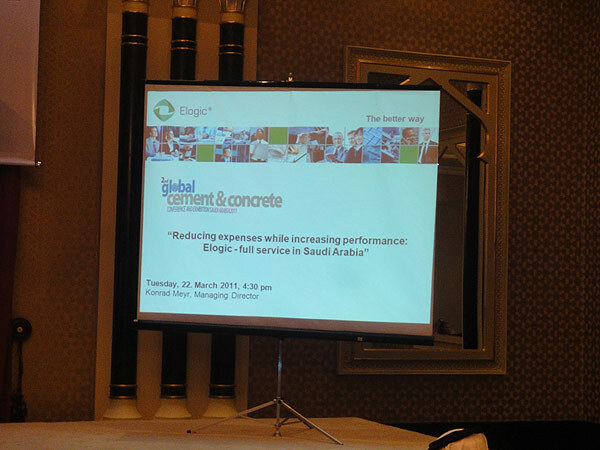 The conference is the most important event in this field in Saudi Arabia which is the most important market in the Gulf Region. 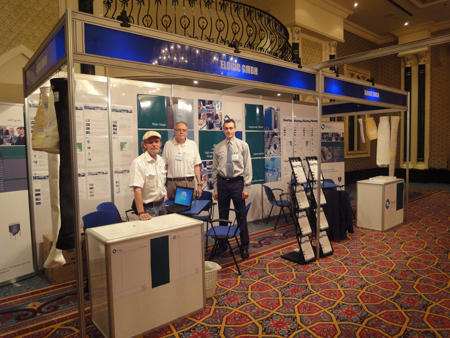 The company appeared at the double booth 1+2 and was extremely popular. 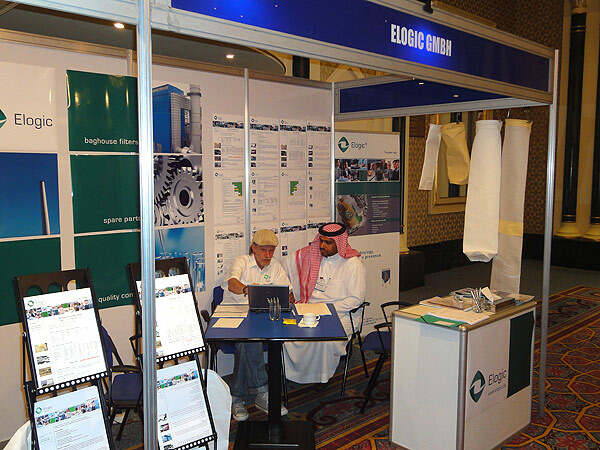 As it was the Elogic in-house exhibition in Saudi Arabia, there were several discussions on current and future projects. 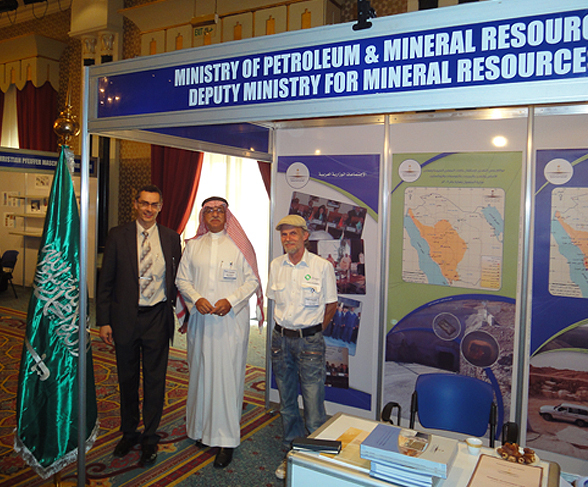 Important networking was also carried out in the area of environmental protection with the authorities and ministries which attended. 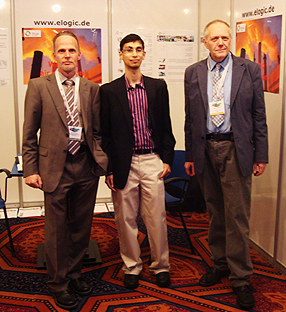 All the best for 2011 from Elogic! 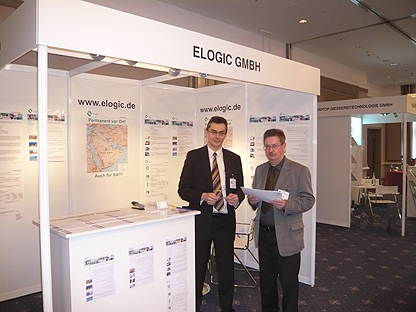 Elogic GmbH successfully finalized registration of trademark Elogic. To further support the brand name the company is changing its marketing appearance. On all official documents and advertisements the Elogic logo will be completed with the internationally used “registered” ® icon. This action points out that the company name is an important part of the company’s strategy. 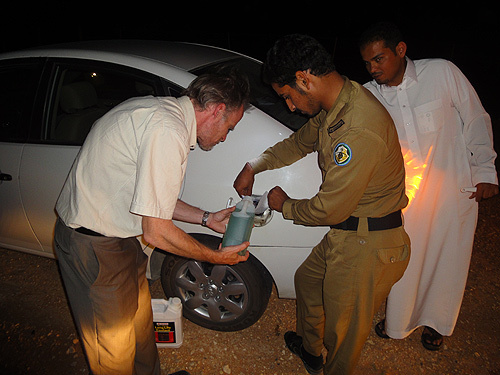 On our way back from visiting a customer north of Riyadh, Saudi Arabia, the one thing that shouldn't happen happened: Our rental car ran out of petrol, and the motor died. All this, of course, on the motorway, in the middle of the desert, after sunset. 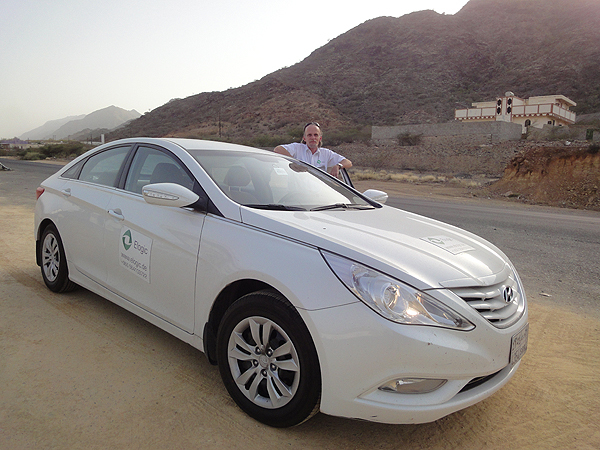 Although we know that the Saudis are known for their hospitality, we did feel a little uneasy. Shortly after we had turned on the hazard warning light, a Saudi stopped and asked us if we needed assistance. Quickly he explained that a situation like ours necessitates a call to the police, which didn't make us feel any better. Kindly, he then went ahead and called the police himself. After waiting quite some time, a patrol car with flashing lights and bearing two canisters of petrol actually came to our rescue. Shortly thereafter the reinforcements arrived: A second patrol car, lights flashing as well, had joined the first. 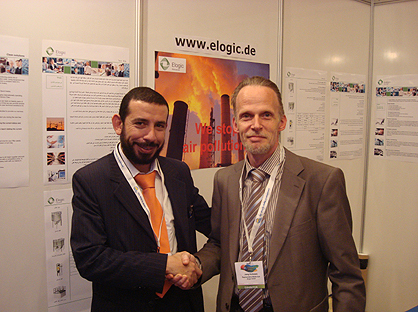 Once the Saudis leant that we were Germans, and that Joerg Rothstein resides in Saudi Arabia permanently as an Elogic representative, an interesting discussion developed, in particular about environmental protection. 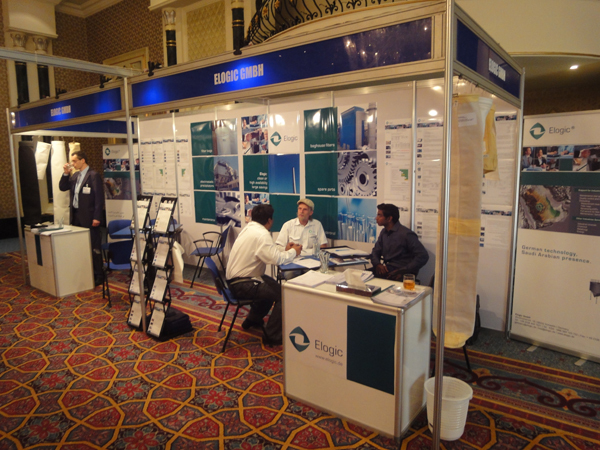 At this point an Elogic Industrial Minerals flyer proved its worth, providing not only information, but also acting as a funnel. After filling the tank, the police escorted us to the next petrol station. And the whole thing didn't cost us a penny, proving once again that the Saudis are a hospitable people. Our thanks again to the police officers. 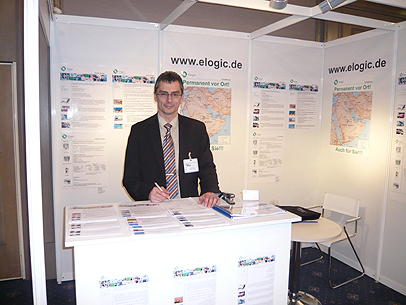 From March 17th until 19th 2010 Elogic was attending the “Global Cement Wear and Maintenance Conference and Exhibition 2010”, which took place in Düsseldorf. 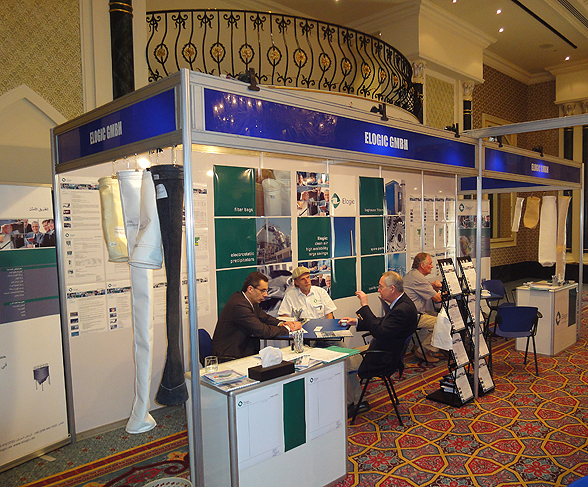 The event was covering all aspects of maintenance and was attracting very international visitors. 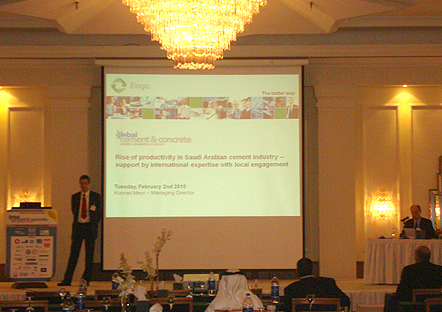 For Elogic the participation was a consequent step to strengthen the bridge between Europe and Saudi Arabia. 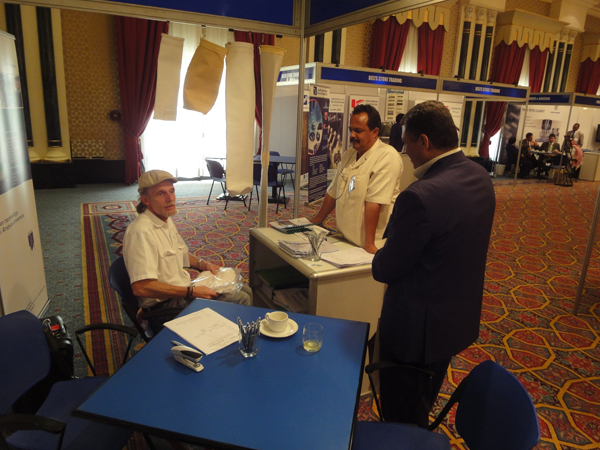 The company was eager to line out to as many companies as possible the advantages of German experts in Saudi Arabia and to prepare for common appearances in the Gulf Region. 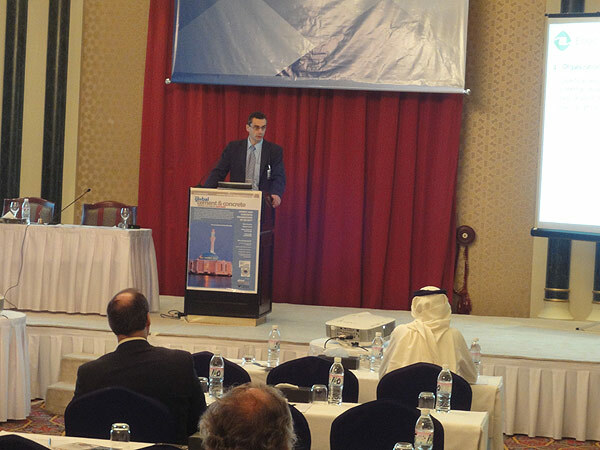 A quick availability of technicians is a major argument for Arabian customers to build up long term partnerships. 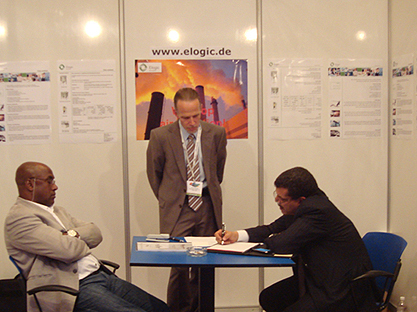 Elogic has already realized this availability and is willing to share its capacities with other European companies. 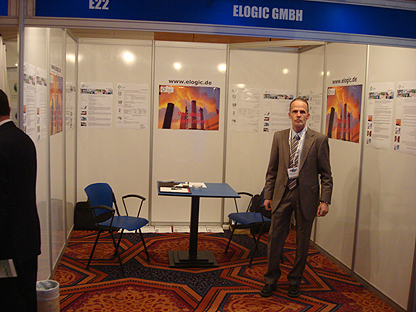 Furthermore Elogic wanted to use the conference to get even more customers informed about its comprehensive scope of supply. Based on the motto „the other way, the better way“ the company is focused on unconditioned customer orientation and therefore is substantially different. 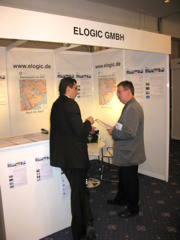 Elogic was presenting itself at an exhibition stand. It was showing the motto “Permanent vor Ort! (on site in Saudi Arabia) – auch für Sie! 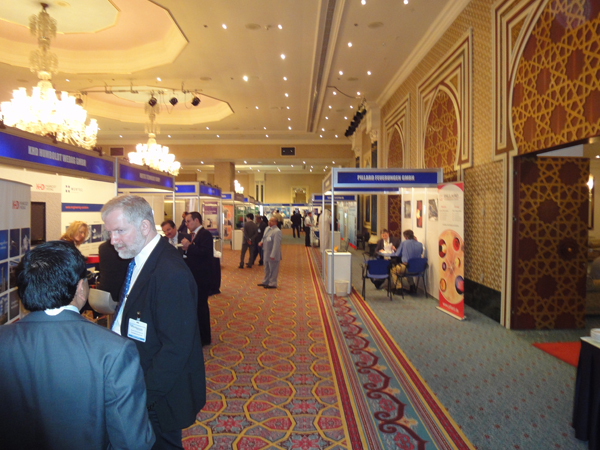 (also for you)” and attracted a lot of conference delegates. So it was possible to get many new contacts. A flyer is ready for download here. 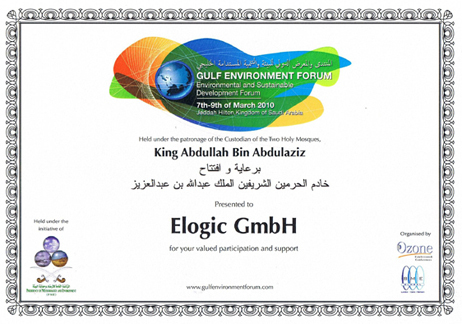 Elogic at the "GULF ENVIRONMENT FORUM"
From March 7th until 9th 2010 Elogic was attending the “GULF ENVIRONMENT FORUM”, which took place the first time in Jeddah, Saudi Arabia. 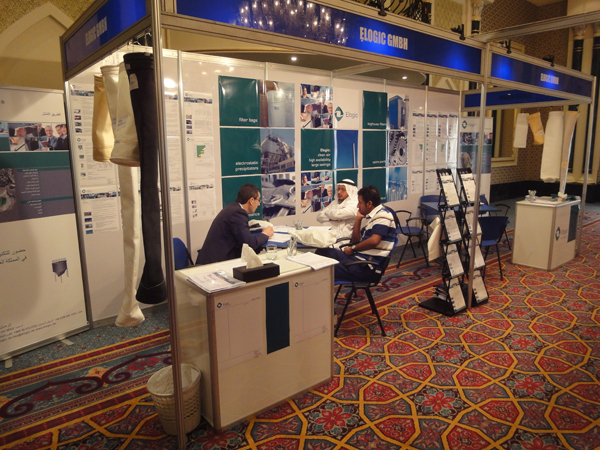 The event is the most important for environmental issues within the Gulf Region attracting well known international participants. 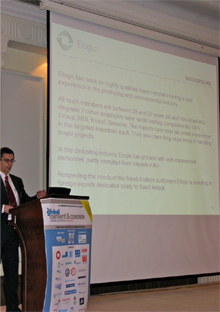 For Elogic participation was a consequent step within its engagement in Saudi Arabia and the Gulf Region. 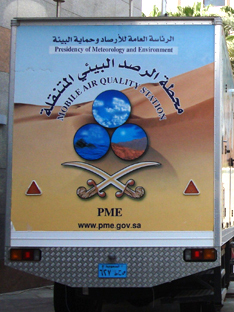 It was also a result of close communication with the PME (Presidency of Meteorology and Environment, www.pme.gov.sa). 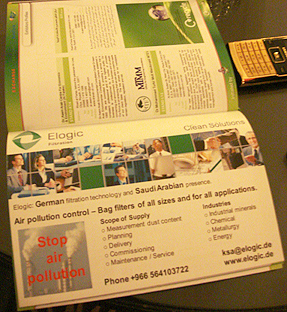 Elogic has international experience in the area of environment and willing to introduce it into Saudi Arabia and the Gulf Region. 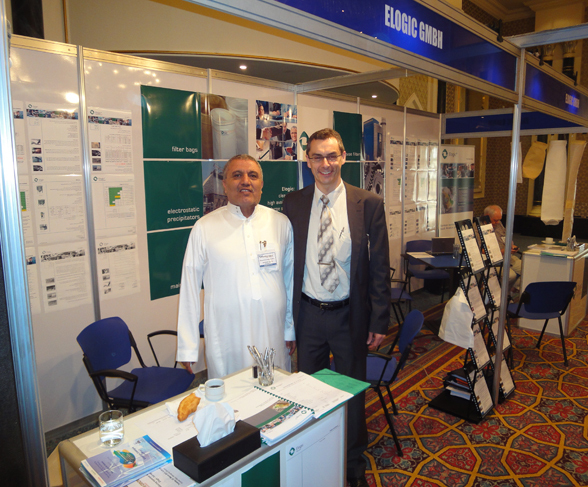 The company was the only attendant out of the industry of Air pollution control and was presenting itself at an exhibition stand. 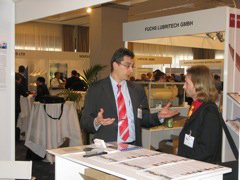 On the forum there was a great amount of visitors and we were able to draw a lot of new contacts. 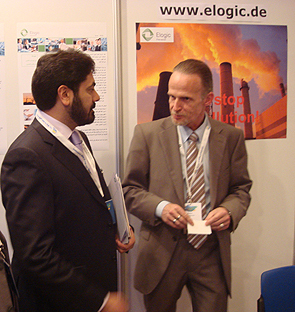 Supported by the presence of Elogic next to the main topics water and energy air pollution got in to the focus of the guests. 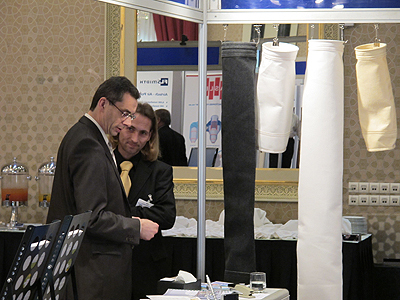 A lot of extensive discussions about measures against air pollution came up. 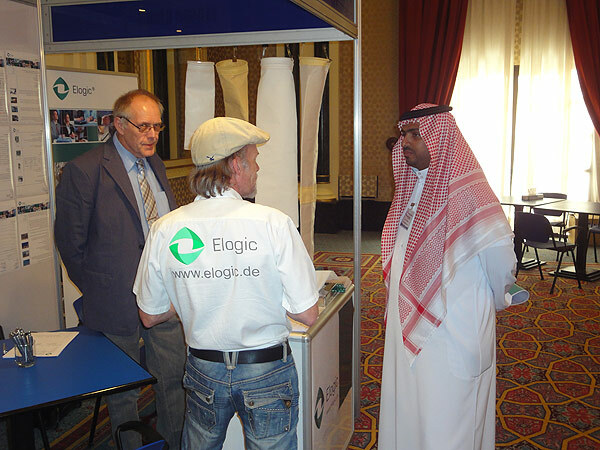 In addition there were many opportunities to line out how Elogic can support the industrial minerals industry by its German experts in Saudi Arabia. 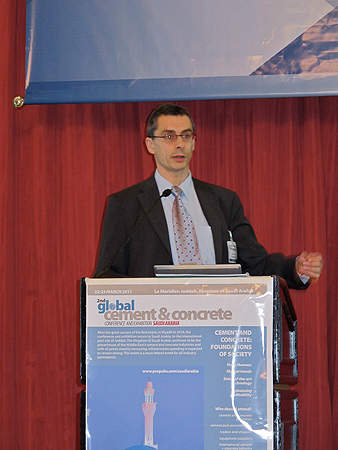 support by international expertise with local engagement”. 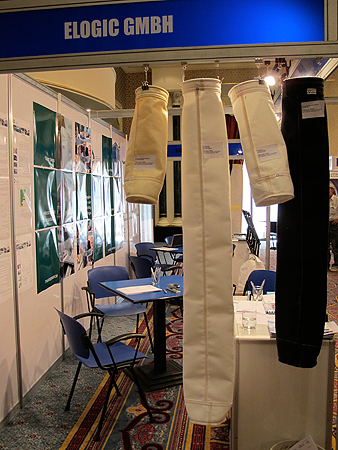 In addition the company was presenting itself at an exhibition stand. A merry Christmas from Elogic!